The 2M is “unlikely” to suspend its AE2/Swan Asia-North Europe loop again after the Chinese New Year, according to an MSC source. The insider told The Loadstar today MSC “had no intention of making the same mistake again”. The source was referring to the 2M’s decision to suspend a service in October and November, rather than blank sailings, to balance supply and demand. Maersk Line and MSC decided to “temporarily suspend” the AE2/Swan service at the end of September in response to a demand slowdown around the China’s Golden Week holiday in October, but as a consequence the 2M partners lost market share to Ocean Alliance members Cosco and CMA CGM. 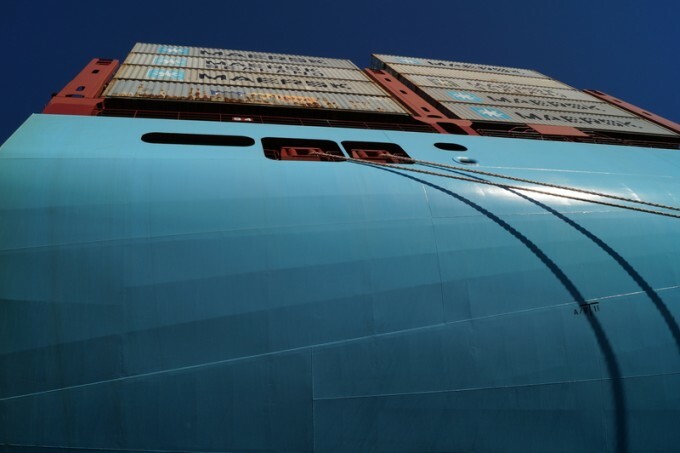 The withdrawal of the 11 18,300-20,600 teu ultra-large container vessels (ULCVs) from the trade was described as a “structural solution in line with lower seasonal market demand” by Maersk Line’s chief operating officer, Soren Toft. Mr Toft claimed temporarily mothballing a service loop was, for customers, “better than the alternative of irregular and ad-hoc sailing cancellations” – a strategy practiced by Maersk’s peers. While lauded as a responsible action by analysts, rival carriers were able to take full commercial advantage of uncertainty surrounding the resumption of the 2M loop. In fact one rival carrier executive told The Loadstar at the time the suspension was the “best news we have had in a long time”. Statements from Maersk and MSC then added to the confusion over reactivation of the loop, the former advising customers the AE2 would “resume in line with market demand”, which it said it expected to be before the CNY, while its 2M partner was more positive, telling clients its Swan service could be restarted “towards the end of the year”. Ultimately, it appears MSC, apparently reluctant to take out the loop in the first place, decided enough was enough and pushed for an early resumption of the service, which will begin with the departure of the 19,437 teu MSC Mirja from Qingdao on 8 December. However, an additional 6% of capacity hitting the market during a period of traditionally weaker demand already seems to have had a negative impact on container freight rates with the Asia-North Europe component of the Shanghai Containerized Freight Index (SCFI) slipping another 2.4% last week to $735 per teu. And anecdotal reports suggest there is some heavy discounting going on at the carriers for westbound sailings in December.